Finmarc Management, Inc., a Bethesda, Maryland-based commercial real estate firm, has announced the purchase of Laurel Commerce Center, a 58,609 square foot industrial building located in the Laurel section of Prince George’s County, Maryland for $6 million. The project is located at 14709 Baltimore Avenue and is currently 100% leased to thirteen tenants. Nathan Pealer of Marcus & Millichap represented the seller, Laurel Commerce Center, LP, an entity controlled by the Fernebok family and Finmarc Management, Inc. was self-represented in this transaction. 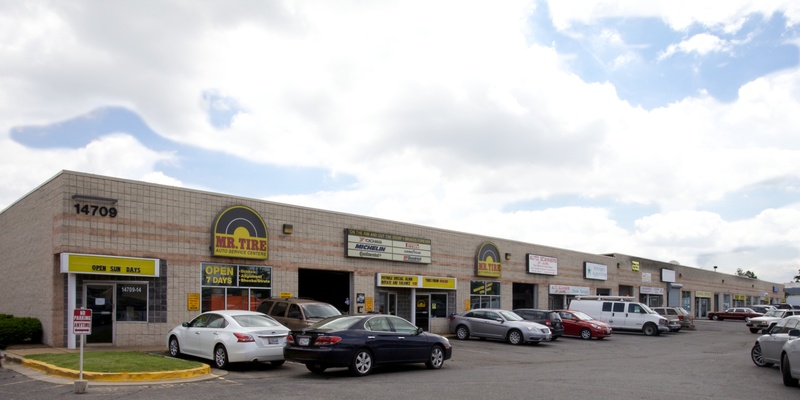 Built in 1986, Laurel Commerce Center features a mix of predominantly automobile-related retailers and repair services companies, including Mr. Tire Auto Service Center, Paymer & Phillips and several other local auto body and repair companies. The building is situated directly across Route 1 from the newly-remodeled, mixed-use Towne Centre at Laurel project featuring Prince George’s County’s first Harris Teeter. Laurel Commerce Center is located in the virtual heart of the Laurel shopping and business district, and is within close proximity to MD Routes 198 and 295 (Baltimore-Washington Parkway) and Cherry Lane. More than 150,000 consumers reside and more than 58,000 households are contained within a five-mile radius of Laurel Commerce Center, with an average household income approaching $100,000. With the purchase of this asset, over the past two and one-half years Finmarc, along with its partners, has acquired or disposed of more than $520 million worth of properties, and is on target to acquire approximately $10 million of additional properties by year-end.